Photo of: East Coast of Ireland: Dublin: Dame Street. 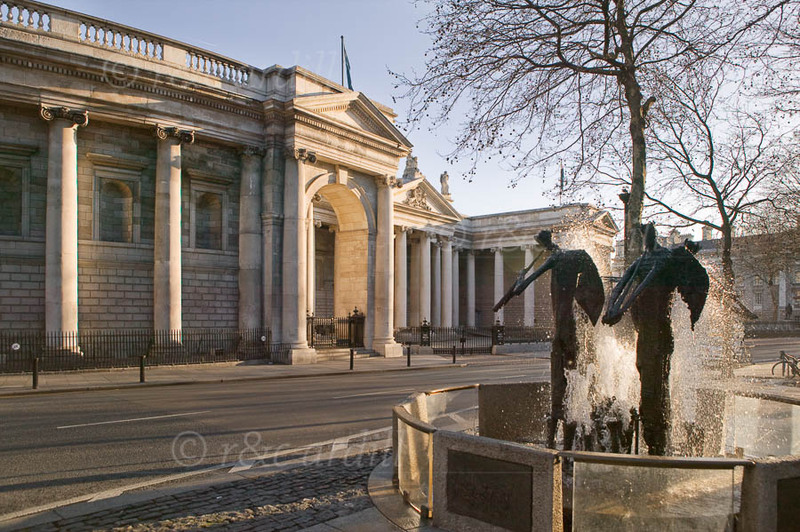 A view of the Bank of Ireland on Dame Street opposite the gates of Trinity College. There is a fine fountain in the foreground.